Since Mike and I arrived in Cancun tired from trip preparations and going away parties, and with no plan or schedule, we did what anyone would do in our situation… we hit up the beaches! Our first full day in Cancun found us walking almost an hour from our accommodations to catch a ferry to Isla Mujeres. 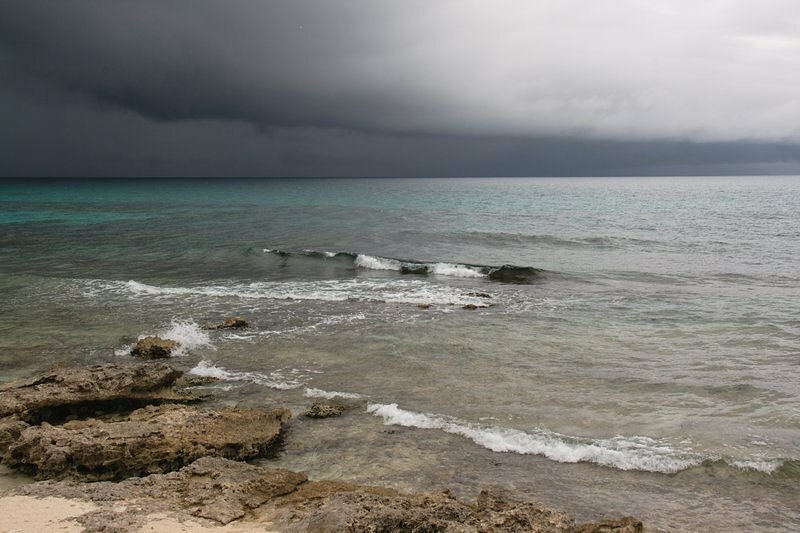 It pretty much rained off and on all day (it is the rainy season here), but that didn’t stop us from enjoying a cerveza on the beach, going for a swim, and checking out the turtle reserve, Tortugranja. We really enjoyed the island while we were there, but knowing what we know now would have probably skipped it if we did everything over again. It’s a nice little island… it just wasn’t worth the ferry cost (280 pesos, or just over $23 CAD roundtrip for the two of us). Tortugranja was smaller than we expected. It’s worth the entrance fee (30 pesos per person), but not the cab fare if you don’t have alternate means of transportation. We chose to hitchhike our way back on a golf cart rather than pay cab fare again. Isla Mujeres is definitely geared towards tourists… it’s crowded, full of in-your-face vendors trying to sell you souvenirs and drunk twenty-somethings driving golf carts like they’re indestructible, and it’s expensive to eat there (compared to downtown Cancun). The beaches of the hotel zone are beautiful, but you have to tolerate vendors trying to sell you stuff, cigar smoke, and dance music blaring from the nearby hotel pools. Mike and I decided to catch a bus to the Hotel Zone, rather than walk (it was only 8.50 pesos (less than a loonie). By law, all of the beaches in Mexico are open to the public. So you just need to walk through a hotel like you own the place to get to Cancun’s beaches. We had no problems doing this… in fact, we were even offered drinks by the resort’s waiter. We had a great time swimming in the waves at the beach. On the Cancun airport shuttle, we got talking with a German guy who was just finishing up his time in Mexico. 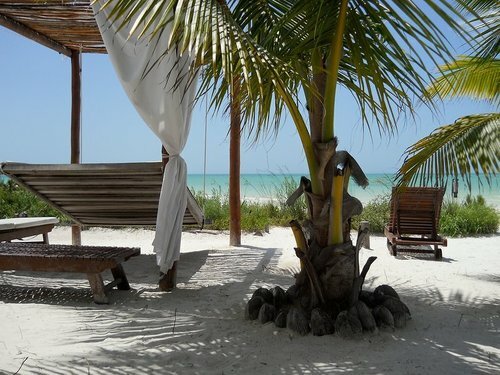 He told us that if we could make the time, we should check out Isla Holbox (pronounced hol-bosh). He told us about a great hostel, called Tribu, to check out there. The funny thing was, the guy had never been to Isla Holbox. His friends told him to check it out and he couldn’t make it out there. Isla Holbox is a stunningly beautiful island that is a 3 hour bus ride and a 15 minute ferry ride from Cancun. The bus fare to Chiquila was a mere 80 pesos per person (about $6.60 CAD) and the ferry out to Isla Holbox was 70 pesos per person. The attitude on the island seems to be No Shirt, No Shoes, No Problem. 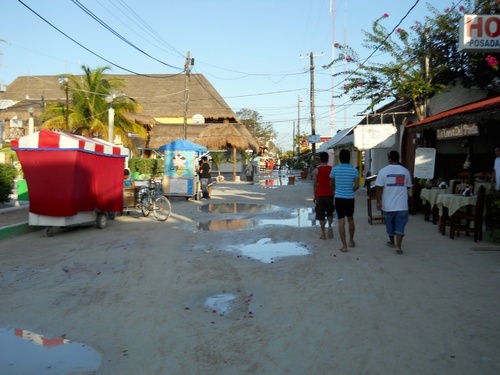 The beaches have the nicest and softest white sand we have ever encountered, and the streets are made of the same. Many people forego shoes and just walk barefoot around town. Although Isla Holbox is a popular tourist destination for whale shark tours (more on this in a later post), it never feels overrun by tourists. 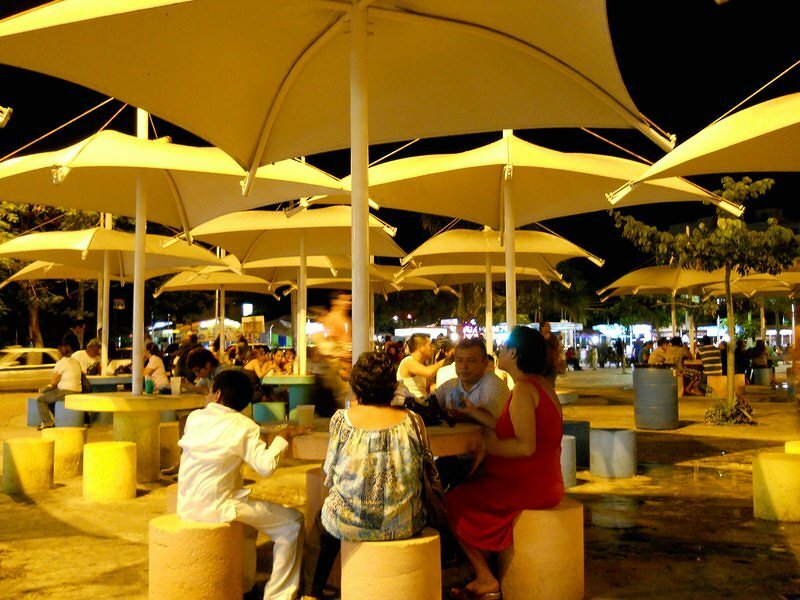 It has a much more laid back vibe than Cancun or Isla Mujeres. Locals get around with golf carts, as there are only a few full-size vehicles on the entire island. 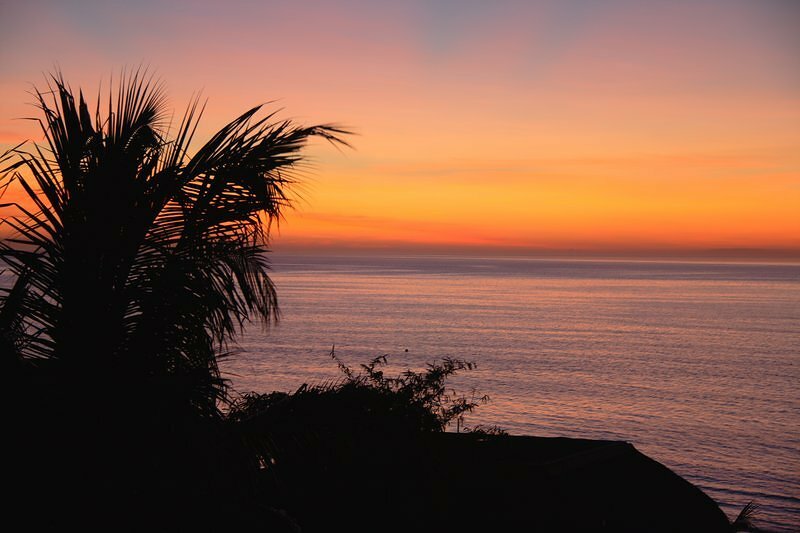 There is lots to do… swimming, sunbathing, kayaking, kite surfing, whale shark tours, birdwatching (there are wild flamingos here), and fishing. The most popular past-time, however, seems to be relaxing and enjoying nature… and we’re sure getting our fill of this one! 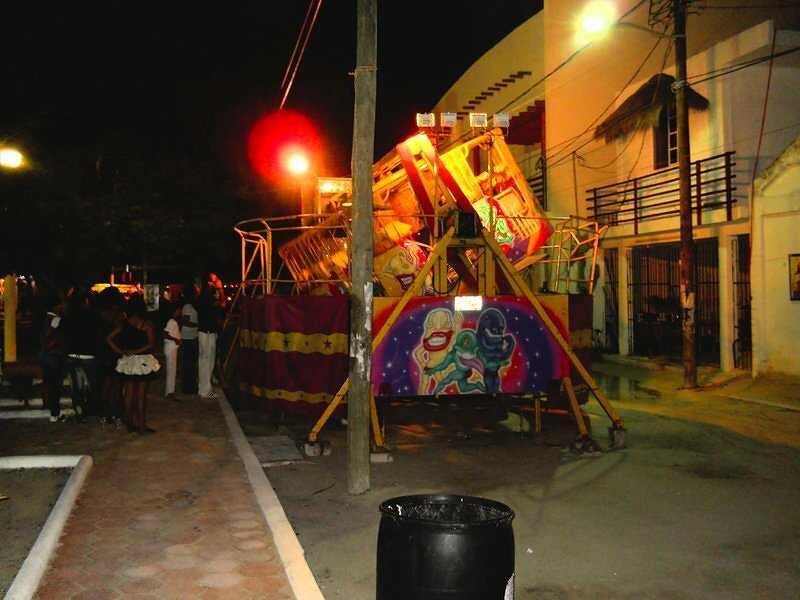 At night, the village of Holbox comes alive. Vendors fill the streets with street food, carnival games and rides open up, impromptu basketball and football games are started, and concerts are set up in the little amphitheatre in the square. The really cool thing about it all? It seems to be all for the locals and their children (this was one thing that surprised us everywhere we’ve been… the kids seem to all come out to play at 8 or 9 pm) – the tourists are just along to share in the fun. Tribu is also an exceptionally cool hostel. 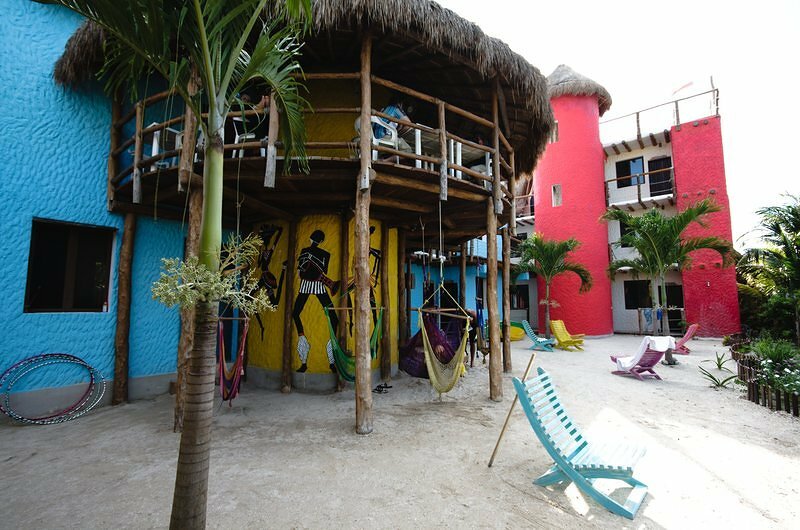 It has spiral staircases that lead to the rooftops where you can watch the sunset, lie in the hammocks, and crash a birthday party with a jam session and cake (as we did last night). There are lounge chairs, hammock chairs, and a BBQ in the main outdoor commons area. There is a cinema with a projector and a bar that hosts a variety of activities on different nights. If this wasn’t the very start of our journey and if we knew a little more Spanish, we probably would have looked into getting jobs and staying on this island we loved it so much. But alas, all good things must come to an end. I really liked the beaches in the Hotel Zone (that’s where we were staying). We didn’t have too much trouble with the vendors, and I had heard that there had been a crackdown on aggressive sales tactics. The surf as a bit rough, but the water and sand were gorgeous. 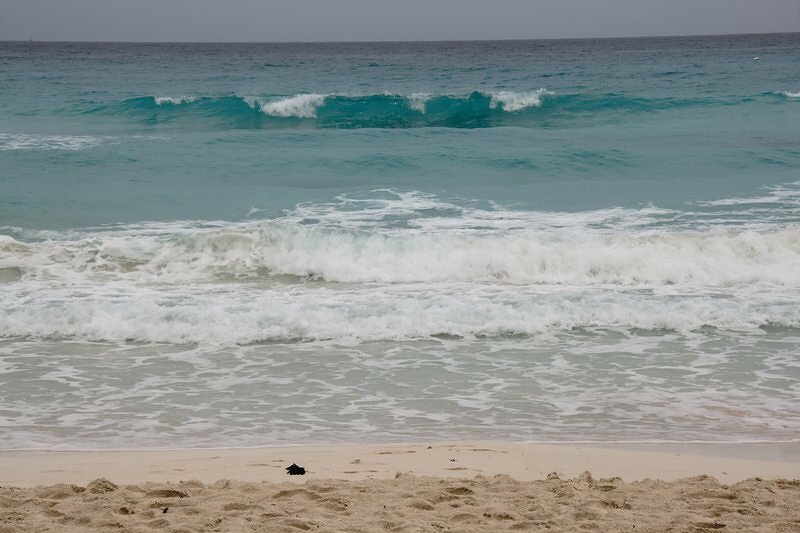 We loved the beaches in the Hotel Zone too… partly because the surf was rough! The sand is amazing and it’s nice to have lounge chairs to lay back on. The vendors on the beach weren’t terrible, but outside the hotels they were pushy. Love all the pictures. It looks so gorgeous there! At all the locations! Glad you two are having such a great time. Real authentic tacos are the best eh? I am loving the tocos. They are so cheap, usually under $2 CAD for the two of us for supper. Trick is to get out of the tourist areas. Mexico it is. I love it. I am so jealous. Thanks for such solid updates. Do you think you’ll start in Mexico? We highly recommend Spanish classes, not that we’ve taken any yet. That’s next on the agenda.